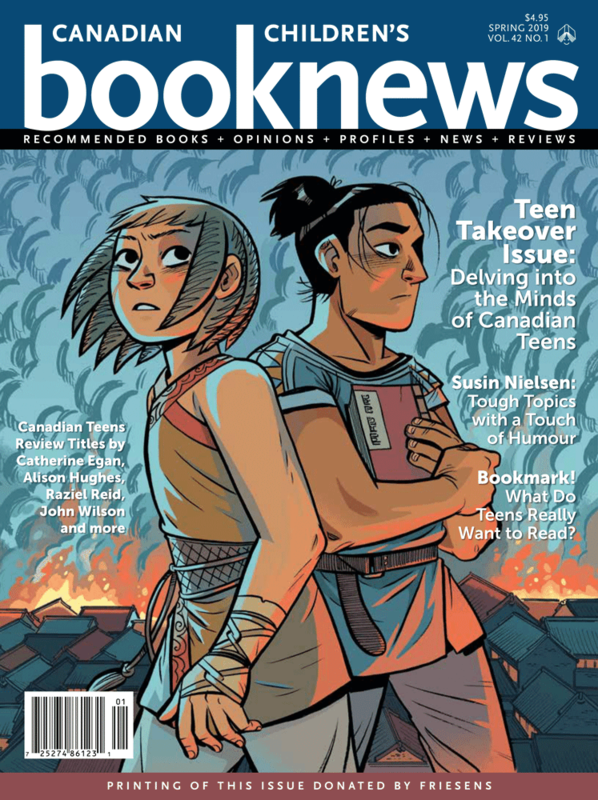 The spring edition of Canadian Children’s Book News is an extra special Teen Takeover issue, co-edited by Amy Mathers, founder of the Amy Mathers Teen Book Award and host of the podcast YA Write with Amy Mathers. Teens all across Canada wrote reviews and opinion pieces for this extra special issue. You’ll also find a profile piece on Susin Nielsen and an interview by Kevin Sylvester with male teenage readers about what boys read and why they stop. 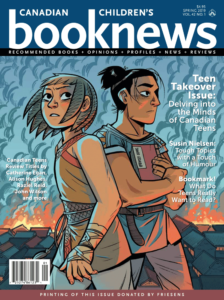 Elly MacKay, creator of the 2019 TD Canadian Children’s Book Week poster, is interviewed about her dreamy poster. 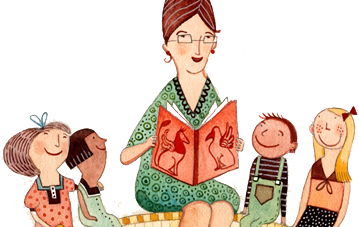 You’ll also find author Kari Maaren in the Keep Your Eye On… section with an interview by Amy Mathers. The issue is available now on our website. Buy yours today!